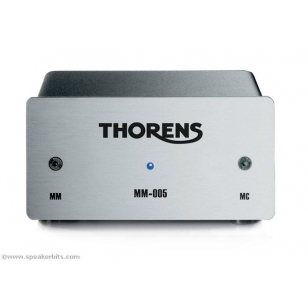 MM 005 MM and MC phono stage with brushed aluminium fascia. Preamplificador de Phono. - Para MM y MC. - Ajuste por Micro-Switch. - Alimentador externo. - Bajo ruido. - Encapsulado metalico. 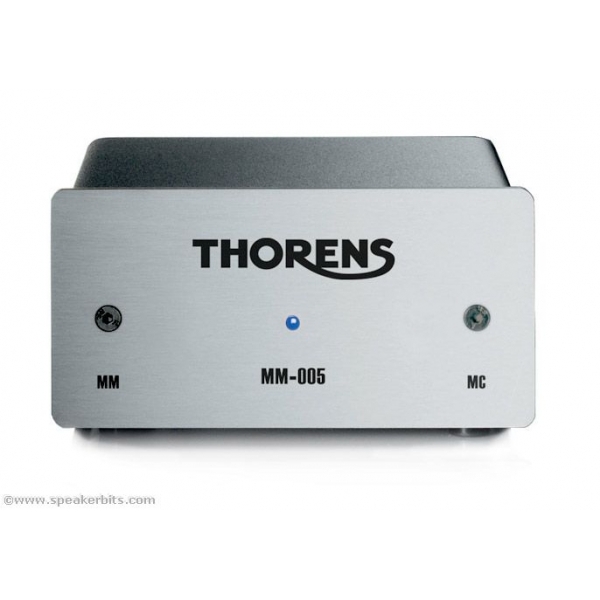 Specifications Gain MM: 40 dB, MC: 60 dB Input Impedance MM: 47 kohms, MC: 100 ohms Output Resistivity < 250 ohms Frequency Response according to RIAA Singnal-to-Noise Ratio MM: > 84 dB, MC: > 71 dB Total Harmonic Distortions < 0.02 % Dimensions (W x H x D) 115 x 55 x 130 mm Weight 1 kg appr.